The University of Iowa swimming and diving program returns to the CRWC Natatorium this week for a pair of dual meets. The Hawkeyes host South Dakota in their home opener on Thursday at 5 p.m. (CT), and return on Friday to host Missouri State and Purdue in a double dual starting at 2 p.m. Fans can follow this week’s action by visiting the live stats link on the swimming and diving schedule page on hawkeyesports.com. On Thursday, there will be free sandwiches for the first 50 University of Iowa students in attendance. Fans can also enter a raffle to win an Xbox One console. For Friday’s double dual, beach towels will be available to the first 100 fans in attendance. For an inside look at the Iowa swimming and diving program and access to exclusive coverage, “like” Iowa Swimming and Diving on Facebook and follow @IowaSwimDive on Twitter and @hawkeyeswimdive on Instagram. The Iowa men return 20 letterwinners and adds 10 newcomers for the 2016-17 season. 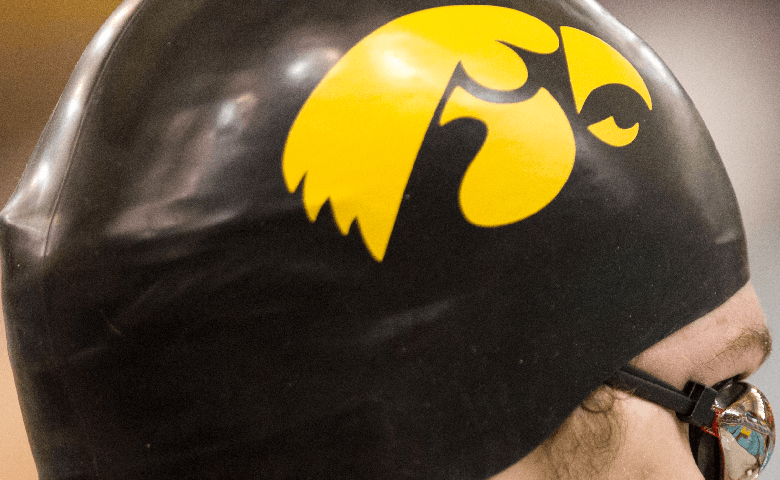 The Hawkeyes return three NCAA qualifiers and top performers in 10-of-14 swimming events, two-of-three diving events, and seven top performers in relays. The Hawkeye women bring back 23 letterwinners, including three NCAA qualifiers, and add eight newcomers. Senior Emma Sougstad headlines the returnees after achieving honorable-mention All-America status as a junior; junior Meghan Lavelle is a school record holder in three events and has the second-best time in the 200 back. Iowa returns its top performers in 12-of-14 individual events, on the platform, and its top five relay swimmers. The Hawkeye men fell to No. 12 Minnesota, 185.5-113.5, in a Big Ten Conference dual last week in Minneapolis. Sophomore Kenneth Mende led the Hawkeyes, competing in four events and notching Iowa’s lone first-place individual finish (200 back-1:48.57). Mende swam the first leg on Iowa’s winning 200 medley relay (1:30.68). He was also Iowa’s top finisher in the 100 back (49.14) and the 200 IM (1:55.04), swimming to a pair of runner-up finishes. The Hawkeye women fell to No. 16 Minnesota, 186-114, last week in Minneapolis. Senior Emma Sougstad and junior Tereysa Lehnertz combined for four of Iowa’s five individual wins. Sougstad touched first in the 100 breast with a NCAA “B” qualifying time of 1:01.33 — the second-fastest time in program history. One month into the season and six Hawkeyes have already earned Big Ten Conference weekly honors. Senior Emma Sougstad is Iowa’s most recent honoree, garnering co-Swimmer of the Week honors on Nov. 2 following two first-place finishes in the 100 and 200 breast at Minnesota. Senior Brandis Heffner, junior Tereysa Lehnertz, sophomores Jack Smith and Jacintha Thomas, and freshman Hannah Burvill were all recognized by the conference on Oct. 5 following their performance in a double dual at Michigan State. Freshman Hannah Burvill is pacing Iowa’s freestyle sprinters early in the 2016-17 season. The Great Britain native won two individual events at the annual intrasquad meet. She also notched a pair of second-place finishes last Saturday at Minnesota to lead the Hawkeyes in the 100 (50.59) and 200 free (1:49.73) — both times rank ninth all-time in school history. Three Hawkeye divers have posted NCAA Zone diving standards this season. Senior Brandis Heffner (302.95) and sophomore Jacintha Thomas (272.85) have posted qualifying scores off the 1-meter, while Thomas (283.35) and freshman Olivia Dopkiss (291.25) have qualifying scores on the 3-meter. Four Hawkeye swimmers — senior Emma Sougstad, junior Jerzy Twarowski, sophomore Kenneth Mende, and freshman Hannah Burvill— will represent the Big Ten Conference at the USA Conference Challenge, presented by arena, in Indianapolis this November. The USA College Challenge, a two-day, short-course yards dual meet, will feature members of the USA Swimming National Team squaring off against stars from the Big Ten Conference on Nov. 12-13 at the Indiana University Natatorium on the campus of IUPUI in Indianapolis. Senior Emma Sougstad was recognized as a preseason All-American in the 100-yard breaststroke by Collegeswimming.com on Sept. 12. The Forest City, Iowa, native led the Hawkeyes in the 100 breast and 200 breast with school-record times last season. Sougstad finished ninth in the country in the 100 breast (59.00), 31st in the 200-breast (2:11.25), and 25th in the 200 IM (1:57.55) at the NCAA Championships. Her times in the 100 breast and 200 IM are the fastest in school history. Sougstad was a stand-out performer at the 2016 Big Ten Championships, posting top-seven finishes in five events. Sougstad is the Iowa school record holder in eight events – 50 free, 100 breast, 200 breast, 200 IM, 200-free relay, 200-medley relay, 400-free relay, 400-medley relay — heading into her senior season. 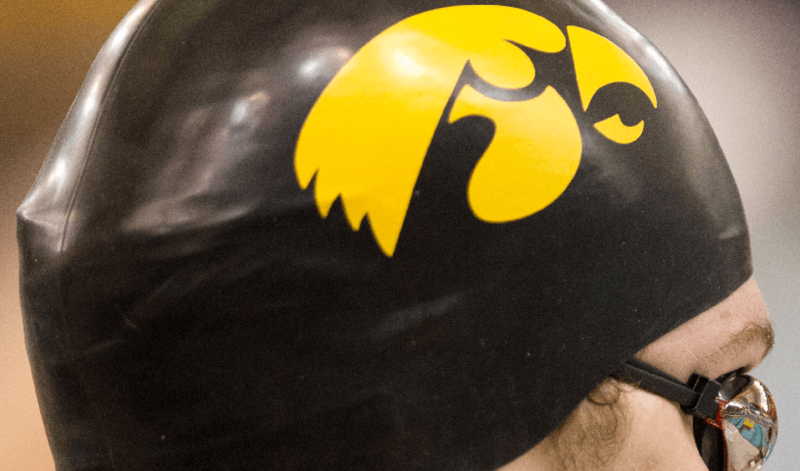 The Iowa swimming and diving program returns six NCAA qualifiers from a season ago. Three members of the men’s 200 and 400-medley relays return, including redshirt sophomore Kenneth Mende, sophomore Jack Smith, and junior Jerzy Twarowski. They finished 10th in 200-medley relay (1:26.50) and 21st in 400-medley relay (3:10.06) at NCAA Championships. The women also return three NCAA qualifiers in Sougstad and senior divers Calli Head and Lydia Lehnert. A two-time NCAA Championships qualifier, Head comes off a career year that saw her win bronze at the Big Ten Championships after diving to a school record score of 312.20 — she shares the school record with Lehnert. 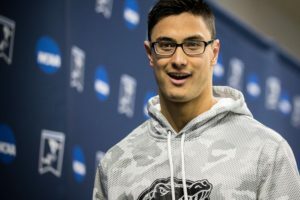 The Wisconsin native placed 31st at the NCAA Championships with a dive of 214.95, while Lehnert placed 36th with a score of 206.95. 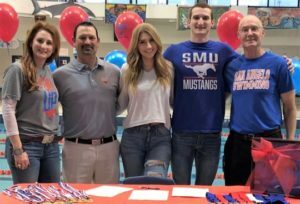 Ten newcomers are set to join the men’s swimming and driving program this year, including John Colin, Weston Credit, Sam Dumford, Steve Fiolic, Joe Myhre, Will Scott, Alex Streightiff, Michael Tenney, Isaak Webb, Forrest White. The 10 freshmen come from three different states, including Iowa (4), Illinois (4), and California (2). The women’s program welcomes eight newcomers for the 2016-17 season. Amelia Armstrong-Grant, Hannah Burvill, Olivia Dopkiss, Allyssa Fluit, Meghan Hackett, Amy Lenderink, Samantha Sauer, Thelma Strandberg each begin their freshmen campaigns this year. This year’s freshmen class comes from all over the map — Colorado, Iowa (2), Illinois, Michigan (2), Great Britain, and Norway. This year’s Hawkeye squad features five athletes from five countries outside of the United States. 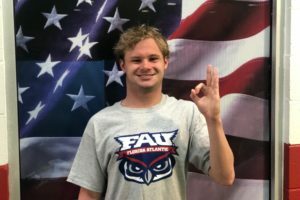 The men’s team features junior Jerzy Twarowski (Poland), redshirt sophomore Kenneth Mende (Germany), and sophomore Jack Smith (England), while the women’s includes freshmen Hannah Burvill (Great Britain) and Thelma Strandberg (Norway). 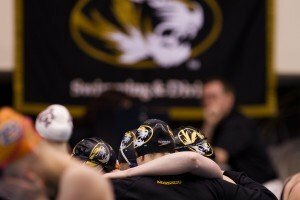 The University of Iowa men’s and women’s swimming program was represented at the 2016 U.S. Olympic Trials in Omaha, Nebraska, last June. Senior Jackson Halsmer and junior RJ Hemmingsen each competed in the 50-meter free, while Kyle Patnode competed in the 100-meter fly. Meghan Lavelle competed in the 100 and 200-meter back, and Emma Sougstad competed in the 100-meter breast. Iowa was one of the first schools in the nation to compete on a collegiate level, and in 1937, the Hawkeyes competed at the first NCAA Championships. From 1937 to 1960, Iowa placed in the NCAA top 10 a total of 18 times, crowning nine NCAA and 22 Big Ten champions. The University of Iowa’s Campus Recreation and Wellness Center has been home to the Hawkeyes since August of 2010. The 69 million dollar facility is located at the corner of Burlington and Madison streets and was named the third-best campus student recreation center nationally by Best College Reviews in 2013. 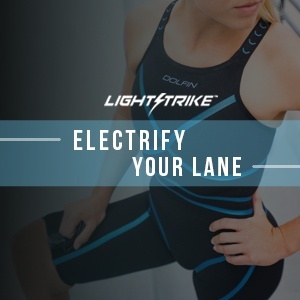 The facility includes a 50-meter competition pool, a separate diving well, a leisure pool with lap lanes, and 24,000 square feet of fitness space. A pair of familiar faces have joined the University of Iowa swimming and diving program this season. Instead of racing down the lanes, they’ll be coaching from the deck. UI graduates Richard Salhus (2011) and Roman Trussov (2016) have joined the program as interim assistant coaches. Salhus returns after spending the last five years as assistant coach of the Iowa Flyers Swim Club. He was recently tabbed as the Flyers’ head coach. Trussov was a two-time honorable-mention All-American as a senior last year. 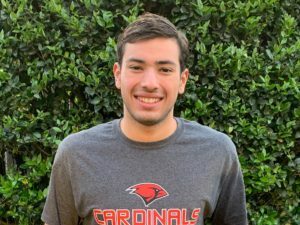 He is also the school’s record holder in the 100 breast and 200 breast. Four Hawkeyes will compete at the USA College Challenge, a two-day dual meet, in Indianapolis from Nov. 11-12. The Hawkeyes later travel to Columbus, Ohio, to compete in the Ohio State Invitational from Nov. 18-20. Iowa no longer able to attract teams like Michigan, Ohio State, and other top 25 squads to dual. Wooo, let’s get pumped for South Dakota and Missouri State! Once North Dakota gets on the schedule the Hawkeyes will be ready to win NCAA’s…. Marc Long is happy continuing the tradition of mediocrity, this is just another example. He is infamous for his athletes not improving… and swimming low caliber teams to keep a good W/L record to keep his job. When will UI and the athletes have enough and get rid of him? Paul Gordon did pretty good. Just sayin. Why all the hate for Marc?